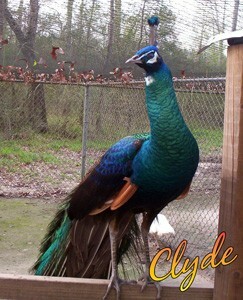 WELCOME TO PEACOCKS AND MORE, we are a large bird ranch located in Conroe, Tx. We have a wide variety of birds for sale, which include but are not limited to Peacocks, Pheasants, Guinea fowl, geese, and chickens. We are located 45 miles north of Houston,Tx. We have been raising peafowl since 1985. Since 2012 we have hatched over 400 peacock chicks per year and safely delivered over 3000 eggs to their new home. We only hatch the early laid eggs so we can check fertility in our 50 pens along with a few selected breeds that we are working on. Our Black Shoulder peahens along with our Spalding hens are both early layers. We usually have our first peachick hatched around Saint Patrick’s Day and begin pre-sale late february for our Peafowl / Peacock hatching eggs. We have India Blue Peacock hatching eggs, Black Shoulder Peacock hatching eggs, White Peacock hatching eggs, Pied Peacock hatching eggs, Silver Pied Peacock hatching eggs, Pied Spalding Peacock hatching eggs and Spalding Peacock hatching eggs. Prices along with pictures can be found throughout the website. We also have Lady Amherst Pheasant hatching eggs and Red Golden pheasant Hatching eggs when in season along with some juvenile pheasants and peafowl for sale. If you don’t see what your looking for are have questions please give us a call. We take great care to insure that you receive the freshest peafowl hatching eggs in the best condition possible. We start by gathering the eggs as soon as the Peahens lay them. They are marked with a pen number to insure that the peafowl you want is the peafowl you are getting. They are then placed in a cool dry place. The next morning they are wrapped in bubble wrap and placed in a small box. The spaces between the eggs are then filled. The smaller box is placed inside a larger box. The open space between the two boxes is then stuffed to prevent movement. The outside of the box is then marked fragile, hatching eggs. The eggs are then taken to the Post Office where they receive a delivery confirmation number. Once the eggs are shipped you will be notified by e-mail that your eggs have been shipped along with the delivery confirmation number.